The word was born in the blood and took flight through the lips and the mouth – and for ages this was the best way to learn of something new. Later, of course came books and newspapers. Still the best way to learn of a product or service was through the almighty word of mouth, until the advent of email. In the fast paced age of digital marketing, email is king. Emails are your window to the world and the best way to reach your consumer. So if your emails aren’t getting the attention they should; well, that probably means you aren’t getting the attention you deserve. Most of the time your first interaction with customers starts online, so you’ll need a good business email address. 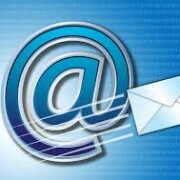 This may seem like common sense, but many business owners still rely on personal email accounts. Make sure your email has the ending of your domain name. However, there are also a couple of other things you can do to get your email noticed. Be sure to use keywords in the Subject line. These are critical as almost a third of email recipients will determine whether an email is worth opening based on the subject line. Keep your emails short and sweet. Get to the point quickly as most of these are read on mobile devices, where the screen is small. So keep email messages to about 5 sentences max. That’s a lot shorter than a blog or personal email. Email marketing is still the most effective type of marketing available to small and medium size businesses. It’s a very inexpensive way of marketing, but you gotta abide by the rules of email marketing to get it to work for you. 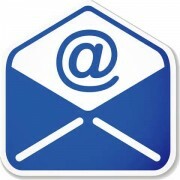 One of the oldest forms of online marketing is email marketing. Now, more than a decade old, this type of marketing is almost considered ancient in the digital world. Those of us that bclal In that time, many online marketers have learned to use it quite successfully. While over time, others who never quite got the grasp of how this marketing method works have helped create a number of misconceptions about this, one of the most successful digital marketing methods around. While some of these misinterpretations may have been grounded in reality at one time, recent changes now make these into unfounded myths. Email marketers are always being told that there are certain words to avoid at all costs when running an email marketing campaign. Such words include “free, cash, quote, or save.” Keep in mind that this isn’t a hard and fast rule, and while this might have been true a few years ago; back when email boxes seemed to be inundated with scam messages. But this is no longer the case. Spam filters have gotten very sophisticated and now better distinguish messages that are total spam from those marketing messages that readers actually want to read. – Some people think your emails are something they aren’t. This could be because they opened your first few emails, were disappointed with the content; or it could be simply because they just haven’t gotten around to reading your mail. – The reader has become disengaged with your content. They have changed industries, moved, gotten busy, or simply abandoned the email address. By monitoring your email engagement once in a while you can try to re-target your content to re-engage people. Then if a few still remain despondent you can clean your list of these recipients who show no response. Actually, this could be good for your business. When someone unsubscribes to your service, it means your email list gets clean. A healthy unsubscription rate of between 1% to 2% can actually be a good thing. This way you won’t end up with a lot of frustrated email recipients, who complain about your emailing them. Email is a slow persuader, but can also be a wonderful lead generator. Remember, emails are shared between friends and colleagues. A reader can forward your email to a friend who is not on your email list. That’s why you need a lead generating call-to-action in every email you send, so that if it’s forwarded you can get them to opt-in. Sometimes it’s better that an email be simple and plain. Just plain text will do better at times than a graphic newsletter. When a recipient receives a plain text message, he doesn’t feel like he is being “Sold” on a product or service. This looks like something he would receive from a friend or colleague. You can say what you want, and the reader can read it. Certainly, a message that is also easier to create. Design elements take time, create freezes, and even prevent email messages from getting to their destination. While email open rate isn’t the tell-all sign of how successful your campaign is, this doesn’t mean you don’t need it. This rate is still important information as it tells you what type of person is most likely to open your mail and which isn’t. It can be used as a gauge when trying to compare headlines that are of more interest than others.